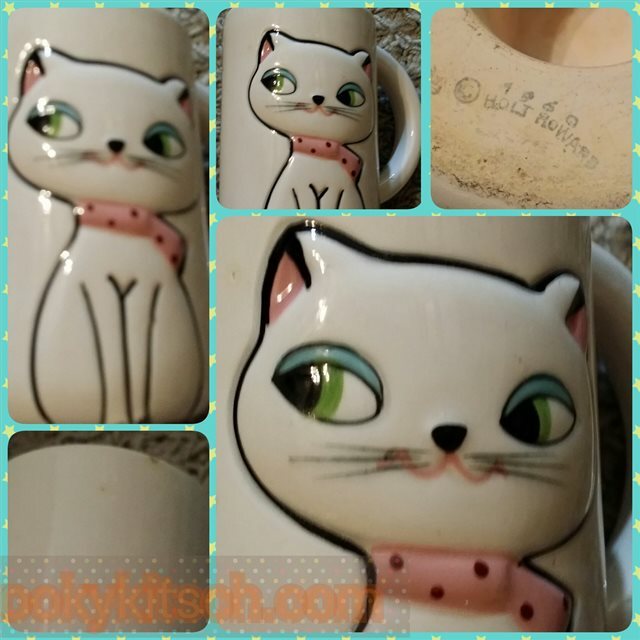 VINTAGE HOLT HOWARD COZY KITTEN MUG/CUP. SHE IS IN GOOD CONDITION WITH MINOR CHIPS ON RIM MEASURES APPROX 4 1/2 INCHES TALL. SHE IS MARKED HOLT HOWARD 1960 ON THE BOTTOM.